We each have our own needs. With insurance, you want the cover that’s right for you, not just a standard package. Austbrokers Countrywide arranges insurance cover specifically for hairdressers and beauty therapists. Currently, we look after more than 1000 of them. 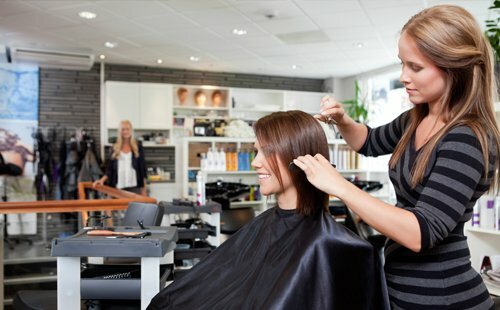 Running your own business in the Hair and Beauty industry can mean owning or leasing expensive buildings, equipment and stocking costly products. Planning for all eventualities is a definite must, and obtaining the right insurance is vital. We’ve listened to what is important to you and have teamed up with Vero, one of Australia’s largest insurers, to design policies which cover the risks you face, ensuring you receive insurance styled especially for you. Not only do we have the backing of one of Australia’s largest insurers but have also built industry relationships over the last 20 years with companies such as Hair & Beauty Industry Australia (HBIA), Hairhouse Warehouse & Brazilian Butterfly, to name a few. Whether working from home, salon, renting a chair or mobile, our experienced staff can help you cut through a maze of options so you obtain the right cover at the right price. Am I covered whilst working away from my salon? Our Liability insurance through VERO is Australia wide, so regardless of where you are working, the cover will follow you. What happens if we are burgled outside business hours? Please call our 24/7 claims number 0419 302 357 to speak directly with us. We can guide you through a make safe process and start the claim lodgement immediately. If someone rents a chair or a room from my salon, are they covered under my insurance? Your Liability insurance will automatically cover any employees of your business. If a third party is renting a space from you or working as a contractor they will not be covered and you must ensure they have their own Liability insurance. If I cancel my policy am I entitled to a refund? All cancelled policies receive a pro-rata refund i.e. refund for time not used. This can incur a cancellation fee. If you require a cancellation please contact our office to discuss. Yes, we have a monthly payment facility through Hunter Premium Funding. Hunter allows your premium to be split over 10 monthly instalments. Please note, like any loan arrangement this does incur an application fee and interest. These amounts are clearly listed on the application form provided with your policy. Supported by over 180 years of experience and affiliations with GIO and Suncorp Insurance, Vero provides market leading insurance products and solutions to businesses of all sizes, from small start-ups through to some of Australia’s largest corporations. They are also the major sponsor of the AFL’s Brisbane Lions team since 2013.